West End is unparalleled – from our wide selection of restaurants, museums, and cultural and historical buildings, the West End in downtown Dallas is home to several unique and special businesses that make us stand out as one of the leading metros. From architecture and interior design, advertising, real estate, and distribution, the historic West End is a hotspot for thriving businesses and opportunities to thrive in all areas of work. We value and appreciate all the hard work our members put in to making our district so unique and exciting, so we are excited to showcase just some of what makes the West End in downtown Dallas one of the best places to be. 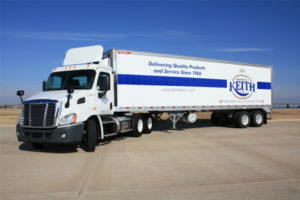 Ben E. Keith Company is a distributor of food service products and premium alcoholic beverages. Their independent Food Division supplies a full line of produce, frozen foods, meats and dry groceries to restaurants, hospitals, schools, and nursing homes. Their independent Beverage Division distributes Anheuser-Busch products, as well as many well recognized craft and imports brands. Having Ben E. Keith Company here in the West End grows the historic West End district for wholesale distribution – both locally and nationally! Corgan Associates, one of the leading architecture and design firms that boosts deep technical expertise and has been consistently ranked as one of the top 10 architecture firms in the United States; it’s clear that we are very lucky and happy to have them in the historic West End! Corgan creates spaces where our clients thrive, honors our promises and obligations, and builds relationships that make us stronger. Go Studio is a commercial interior design firm with a primary concentration on corporate office space. Since their start in 2002, Go Studio has been a proud member of the historic West End district, working on the development of functional and aesthetic interior spaces with a commitment to quality work and excellence. Market Ross Place/ECOM Real Estate Management is a part of the Historic West End District and was built in 1909, marking it as one of the oldest buildings in the district. The building is a unique combination of old and new, with the exposed brick, piping, and heavy timber framing that allows everyone who enters to get a sense of what the building was like in its original construction, while still providing all modern amenities. ECOM Real Estate provides Dallasites and Texans the chance to experience apartments and lofts in downtown Dallas, giving the full experience of being apart of our growing city! As a Dallasite, there are no shortage of parking lots and spaces for Texans and visitors to use. Platinum Parking started in Dallas back in 1999 with just a single location, and now provide premium parking garages and lots in Dallas, Fort Worth, Houston and Austin. 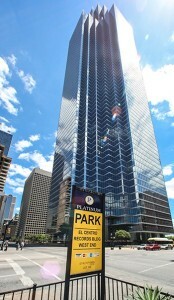 For almost 17 years, Platinum Parking has been the premiere parking in downtown Dallas with garages and parking lots in and around the historic West End. Three big members of the West End are changing the way in which we interact with businesses and consumers, and the West End district could not be more honored to have these pioneers of the 21st century within our backyard! Slingshot started in 1995, and they pride themselves on getting everything expected from a “traditional” advertising agency, plus industry-leading digital work – all from a single team working across every channel. Branding, strategy, advertising, promotions and production – over 20 years of experience and a downtown Dallas company makes Slingshot succeed in the business. 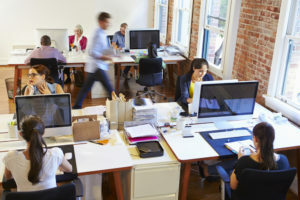 Their client list is expansive across multiple industries, catering towards bigger markets and businesses, as well as a few very uniquely Texan companies. 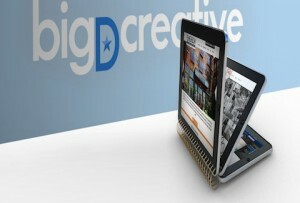 Big D Creative is an award-winning Dallas web design and development company, founded in 2001 that has since launched more than 750 projects for clients and resellers. Big D Creative is a full-service website design firm that does it all – web design, programming, SEO/SEM and content, just to name a few. Dallas SEO Dogs, the sister company of Big D Creative, has been around since 2006 in the historic West End and provides almost all search engine marketing services – social media, blogging, conversion optimization and PPC – just to start. Working alongside Big D Creative gives Dallas SEO Dogs the upper-hand in in-house marketing and strategic planning. 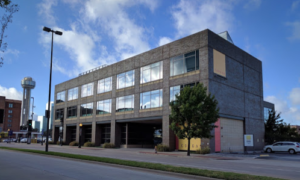 Their client list is expansive as it is impressive, and we love having them right in the heart of downtown Dallas, within a minutes walk away from all that makes the West End so unique. Whether you are looking for a design team to build your upcoming site, an interior company that knows the latest about trends, or simply just looking to explore all that the historic West End has to offer – your first stop is here! All of our members are just a train ride away on the DART Rail at the West End Station, we would love to have you here to visit!